DCR designed a wildfire safety vegetation management project, helped choose a contractor, and supervised implementation. This project cut and removed hazardous wildfire fuels around a major mountaintop observatory outside of San Jose, California. DCR has been providing rapid-assessment mapping on the Oroville Dam project site since the Spillway emergency began in February 2017. We have created maps for the original emergency response teams, and have been supporting geological surveys of the bedrock beneath the spillway. Field geologists bring their field data to us, and a DCR geologist and mapping experts turn their field notes and hand-drawn maps into a high-resolution mapping dataset. We are part of the core team organizing and executing annual prescribed fire projects in the Klamath Mountains. We help provide participants and communities along the Klamath River with experience and training on how to plan and implement controlled burns, protect communities from wildfires, and prepare for managing wildfires for resource benefits. Providing aerial observations during a prescribed burn in the Klamath Mountains (more footage here). We provided mapping and website design to support a major planning project to establish priorities for water management-related projects across the watershed that provides 75% of the water used by the California State Water Project. One of our major tasks on this project was the design of a map-based document library. 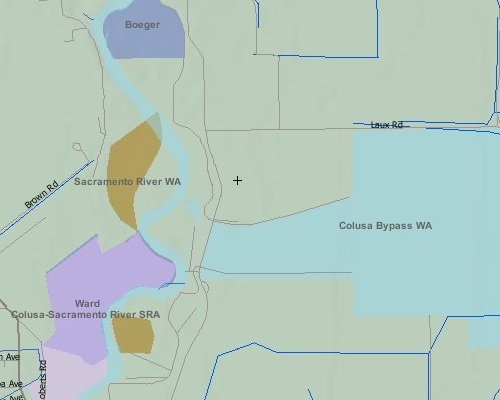 Members of our staff designed, programmed, and implemented a regional enterprise GIS system for watershed coordinators, agency administrators, and the general public for the 27,000 square mile Sacramento River Watershed Program. This project included the development of spatially-enabled web-based photo and document management, data export tools, and FGDC compliant metadata cataloging tools. 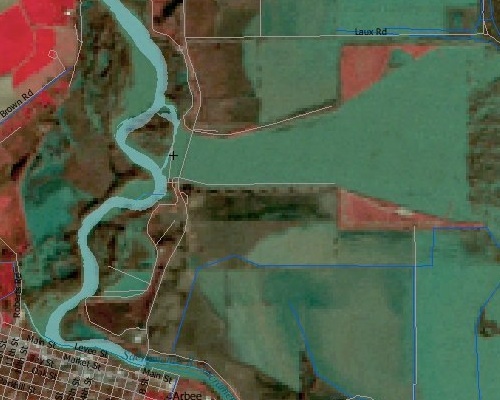 User-contributed photos and videos are available via Google Maps interface at http://sacriver.org. 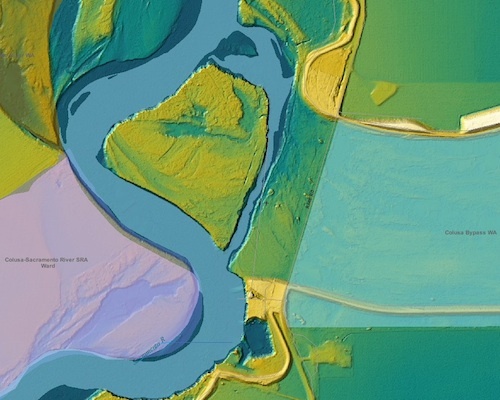 Three views of the Colusa Flood Bypass – from ‘SWIM’ mapping website.